I actually heard Paul say that once again when he was on stage at The Big Event 2011 this past weekend. What a great event to give a kick-start to the goals. If you haven’t been attending learning events and conferences, boo to you. But instead of beating yourself up for the past, vow to change this oversight now and schedule some for this year. It’s not just about what you learn from the speakers, it’s the connections you make with other attendees, which can be even more valuable. There was a group of young entrepreneurs who drove straight through from Idaho to West Palm Beach to attend this conference. That is an example of a no excuses approach. When you want something enough, when the WHY of what you’re doing is big enough, nothing stands in your way. Challenges don’t deter you. You do whatever it takes. Carrie Wilkerson, Dr. John Maxwell, Randy Gage, Les Brown, Paul Martinelli, and Bob Burg all spoke at The Big Event and in one way or another touched on that idea. All good stuff. A nd back to the connections with other attendees, yeah, that was the best part! 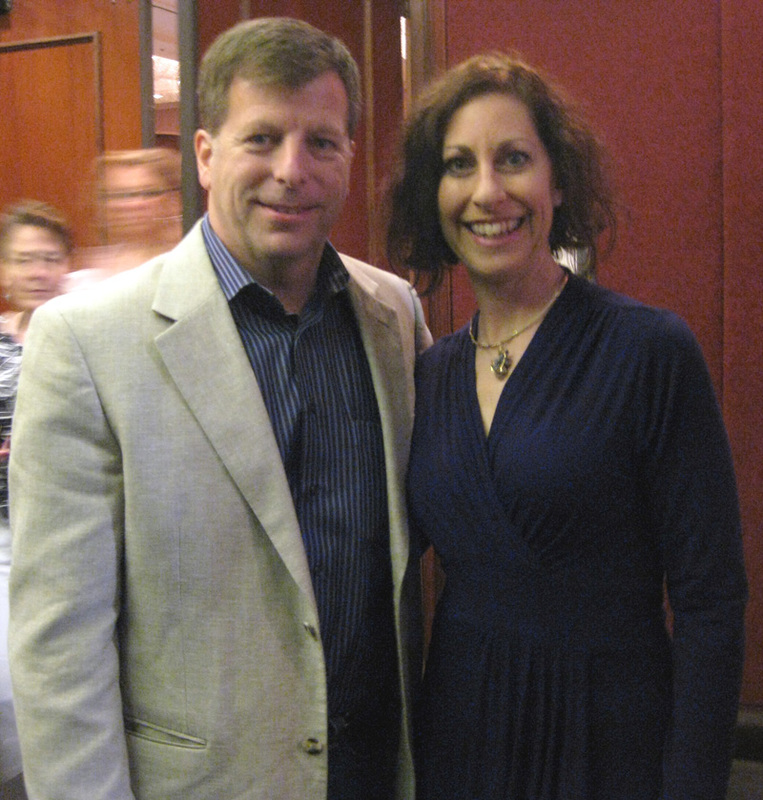 I’ve been working with The Newsletter Guru Jim Palmer for months and we finally got to meet in person. What happiness to brainstorm with him over dinner! 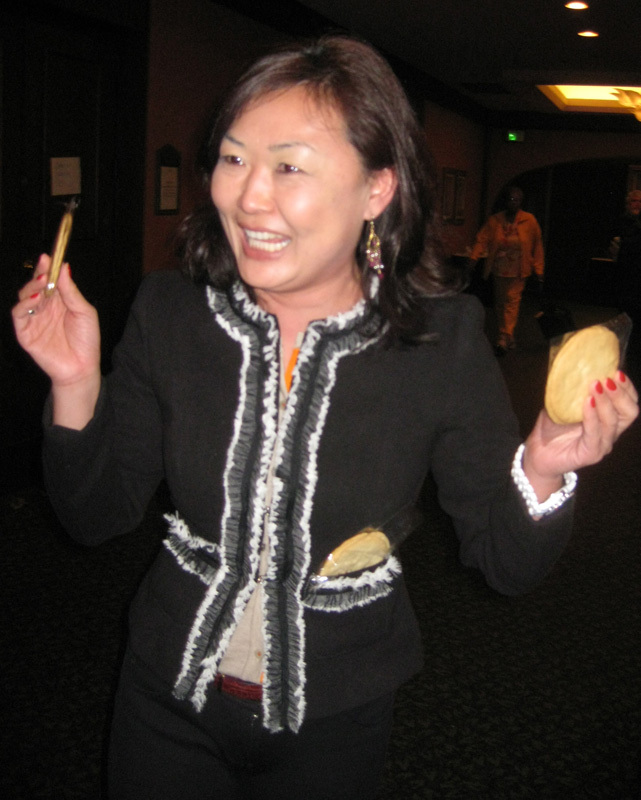 It was a j oy to reconnect with author and person extraordinaire Svetlana Kim; her silly enthusiasm for The Gratitude Cookies made me laugh. Plus I got to make a ton of new acquaintances with really cool people who are building fun, interesting businesses. Which ones do you recommend or are you going to this year? Thus far, it’s been a month of trade shows. First as attendee, at the Fancy Food Show in NYC and then as an exhibitor at the Atlanta Gift Mart. I’ve met great people, created opportunities and seen some interesting behavior. I’ll post first on some observations from my perspective as a show attendee and write later about the view from the other side. Exhibitors at the Fancy Food Show are companies with all kinds of food and beverage, as well as suppliers to the food industry. They’re selling to restaurants, caterers, gourmet markets, gift basket companies, catalogs, manufacturers, pretty much anyone with a connection to the food industry. (# of vendors) take up two full floors at the Javits Center for three days. There were swarms of people walking the aisles, tasting samples at each booth. It’s pretty costly to exhibit, so you’d think that the people working the booths would be proactive in talking to potential customers and collecting contact information so they can follow up. Unfortunately, some of those companies are going to conclude that the show wasn’t worthwhile because their people committed the most deadly trade show sins. At some booths, the rep was sitting in the corner reading or standing around talking to a co-worker. C’mon now, at the very least, you need to acknowledge people passing by, engage them in conversation, get them to stop. (I didn’t say accost, I said engage!) More than once, I approached a booth, looking to talk with someone and was totally ignored. One woman was clearly on the phone with a friend and handed me a business card and waved me away, perhaps so I would call her later? I threw it out. Some of the people I did talk with never asked to scan my badge, which would give them all my contact info, or requested a business card. Follow up is key for trade show success. What are they thinking? I hope they’re not counting on attendees to contact them, even if they did hand out a pound of promotional material. What kind of experience have you had recently as a trade show attendee? Fox 5’s Good Day Atlanta covered the Great American Dessert Expo live on Tuesday morning. The Gratitude Cookie ™ and Zen Rabbit were featured in this segment, right after Spice Rack Chocolates. Want to see it? Click here. The Great American Dessert Experience and my first “big girl” trade show is over. While it wasn’t exactly what I was expecting in terms of overall size and number and quality of attendees, I did meet several other exhibitors with great companies that I would recommend you check out. Jodi Braun started For Goodness Cakes and mmm, mmm, mmm, they are good! Kind of a cross between a cheesecake and a coffee cake. She gave me a cinnamon one to bring home at the end of the show and we are quickly eating our way through it. Read more about them at www.forgoodnesscakes.com. My “next door neighbor” at the show was Spice Rack Chocolates, created by Mary and Paul Schellhammer. These are solid chocolates enhanced with a variety of herbs, spices and flavorings. Think lemon with basil, grapefruit with lavender or, from the en fuego collection, crushed Thai chilies (yes, it is HOT!). Check out all the flavors at www.SpiceRackChocolates.com. Winners in the “Small Bite, Big Taste” competition, 3 Sisters Creative Specialty Foods makes confectionary covered popcorn. We’re talking mini popcorn balls drenched in strawberry or key lime or chocolate coating. Sweet and crunchy. See what I’m talking about at www.popon-line.com. If you need bakery equipment, I now recommend calling my new friend John Stricker at www.bakery.com. And in case you want to certify your kitchen and products as kosher, contact Steve Sichel at Star-K Kosher (www.starkosher.com). Next trade show is World Tea Expo in Las Vegas, May 30-June 1, 2008.